"Easy to use, quick to reuse"
From the time you first login, you find an easy to use solution to create effective proposals. I add new sections almost Everytime I create a proposal and they are very easy to use over and over. My one knock is that there is not a lot of text editing ability. For example, adding bullet points has to be done outside the program and pasted in. In the past I have spent hour after hour creating proposals. I am saving a lot of time and experiencing less anxiety because the process and tracking are afficent and easy to use. "Using Nusii has really helped me with my clients." It makes it so easy to send proposals to clients who I am working on a project with, so that we can lay down the ground rules and make sure everything is clear cut and communicated. Not much. I think the only thing I don’t like about it is the ability to find good background pictures, but honestly that’s not even that big of a deal. It helps to legitimize my business in that I am able to send a professional looking proposal and have a client sign it to protect both me and the client from any issues that may arise. "Nusii was easy to configure with no prior experience. Very easy to use!" I missed the lifetime access code deal on Nusii by one day! Kicking myself for that one. I love Nusii. It’s very easy to use. I had never used proposal software before, so was unsure what to expect, but I had no issues. I loved that I could see when clients opened my emails and looked at the proposal. Highly recommend this product. Recommend you purchase directly through Nusii website. Avoid AppSumo, or suffer for it. Their terrible customer service caused me great frustration. They double billed me and then wouldn’t return my contact. Then they were condescending and still haven’t answered all my issues, although they did refund both charges. My only negative part of the experience was dealing with AppSumo. Terrible customer service. Absolutely no negative experience with Nusii. I needed a very affordable proposal creation and delivery solution. Nusii was perfect. I love that I could see when clients opened emails and the proposal. It was easy to configure the sections of the proposal and edit them to my liking. "Nusii is a great option for making proposals"
What I like best about Nusii is the simplicity of the proposals themselves. They have a very nice design but they are clean and simple. I had a little trouble with the signing feature on mobile — the signing box seems to be offset. probably a bug that they will fix soon, if not already. This is a great alternative to Proposify or BetterProposals. I would recommend this app for sure. Nusii helps me make clean simple proposals to send to my clients and prospective clients in a much simpler way. Instead of writing proposals in some other app, exporting a pdf, emailing the pdf, following up with a call, the client having to print it out, sign it, scan it, send it back...instead of all that I am able to make a proposal quickly and easily, send it to the client where they can view it online and sign right there. Much better! I've tried Better Proposals, 17Hats, Proposify, Dubsado - let me tell you - Nusii is the best proposal software I've ever used. It's easy, simple, and the team is lighting fast on support. The Drift integration is slick as is the notification of when the clients open/close the proposals. I even love the reminders they send automatically for follow up with a client and the ability to use your own custom subdomain. I could go on and on - you can view proposals like a client, download a PDF version, etc. I like everything about Nusii. The only thing I would love is a Stripe integration which is coming soon! I've created beautiful proposals more quickly and have impressed clients with them. Ease of use - you can create a professional and accessible proposal in minutes. The Support that the guys at Nusii offer is absolutely superb as well - friendly, helpful but also realistic in terms of timelines for feature development. You always know where you are with the product, and if not then you can get help really quickly. "Very intuitive to use. Was up and running in minutes." The tool was kept deliberately simple. Things seems to be where you expect them to be. Easy to use. You don't fight with the system to get what you want. I switched from a more complex solution to Nusii with a sigh of relief. The truth is that modern proposals are no longer those big fat, elaborate proposals. Clients value speed and value a clear, concise proposal. I can put a proposal together very fast. Well worth trying. Haven't found anything I dislike yet. Meets my requirements. The trial period is enough to evaluate Nusii. The team deliberately keeps things simple (kind of like Basecamp). Getting a professional-looking proposal fast out the door by re-using components. "Not the best, but certainly very good"
I like the functionality of the app for the most part, and it's a great easy way to communicate project information to leads before an agreement is reached. Editing templates can be somewhat difficult and confusing, just the way it's structured. It would be nice that each section would be independent so things aren't as cluttered in the dashboard. Proposals. Several clients have told me they're impressed with the appearance. "The best solution for producing easy, beautiful quotes, that win contracts and get results. " Nusii produces some of the most aesthetically pleasing quotes in comparison to other online competitors. The software has an easy to use and intuitive user interface and it can be learned in minutes requiring very little setup. The price point is highly competitive and obtainable for any small business. The quote tool makes re-using quotes and quote-templates simple which saves a ton of time. 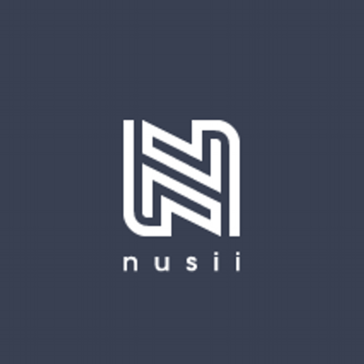 Lastly the support and development team at Nusii is available, responsive, and has top-tier customer service. I strongly recommend them. Nothing. The tool is really very strong in it's current iteration. Better looking quotes, higher close rates, and less time spent on preparation. "They said yes !! Seeing my proposal "
Reusable sections come to a time saver for me as it helps me to reuse certain sections. They also do not charge an extra % of the proposal as charge fees which I really like it. As other competitors are charging. There have been no cons as of now but they can really improve the style and design of the proposals which can help them attract more customers as the present version seems to be a bit of basic. I really recommend using nusii as this can up your game in freelancing if you are a freelancer. It solves the hassle to create attractive proposals with signature options. "Changed the way we work..."
Nuusi has changed the way we do proposals for the better and has allowed us to implement a far more streamlined, therefore time-saving process! Everything can be found in the one place allowing us to easily track our proposal success! Nothing! I have found Nuusi to be extremely easy to use and have all the features I have needed thus far! We have been able to streamline our quoting/proposal process and eliminate the double handling that was occurring when we would quote and then enter the quote into a separate tracking system. "The best proposal generator out there"
Nusii has a very simple, intuitive interface. The prebuilt templates are attractive and user-friendly but more important, WRITTEN TO CONVERT. I've tried many other proposal generators / apps and finally settled on Nusii as the best of both worlds. In the first week of using it, I closed two deals and got positive feedback from both clients on the quality of the proposal. Nothing to dislike - it's outstanding as it is... More templates are always welcome as well as more graphical elements. I save time writing proposals which allows me to write MORE proposals and grow revenues that much faster. "Very Simple and intuitive "
I like not having to format my proposals. Also having the saved sections is an awesome feature. Using the formatting for tables is a little bit difficult. "A strong solution for fast turn proposals"
Quick proposal development to get proposal out to clients as efficiently as possible. I'd like the ability to break up pricing with a module more easily to allow a client to select the best option for them. Don't expect too much from the product as it's built for efficient problem solving, but is a bit limited in options. Nothing I’m very happy with the platform. We are able to provide professional proposals to potential clients quickly and efficiently. * We monitor all Nusii reviews to prevent fraudulent reviews and keep review quality high. We do not post reviews by company employees or direct competitors. Validated reviews require the user to submit a screenshot of the product containing their user ID, in order to verify a user is an actual user of the product. Hi there! Are you looking to implement a solution like Nusii?